Could graphene as a conductor outperform semiconductors in efficiency? 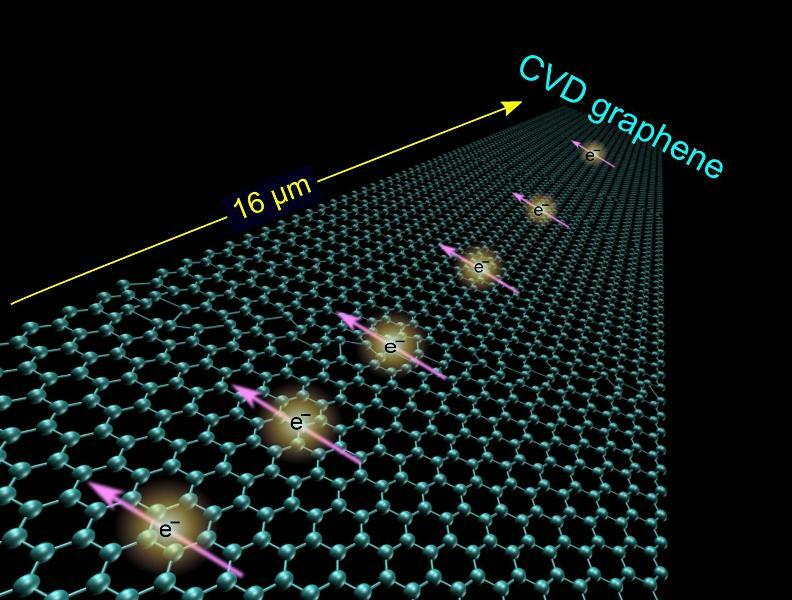 Researchers at Chalmers University of Technology have discovered that large-area graphene, created by chemical vapor deposition (CVD), can preserve electron spin over an extended period of time and communicate it over greater distances than previously known. This opens the door to use spintronics — normally used only to store data — to achieve energy-efficient processors and memory. There’s been a lot of recent research on creating versions of graphene (and similar materials) that act as semiconductors by achieving a band gap (the basis of semiconductor properties), as KurzweilAI has reported. The Chalmers research takes an opposite approach. “Graphene is a good conductor and has no band gaps. But in spintronics, there is no need for band gaps to switch between on and off, one and zero. [Switching] is controlled instead by the electron’s up or down spin orientations,” Saroj Dash explains. “The realization of these functionalities can lead to all-spin-logic and memory devices with high performance and low power consumption,” the researchers suggest in a paper in the journal Nature Communications. Spintronics is being used in advanced hard drives for data storage and in magnetic random access memory. Electronic spin is extremely short-lived and fragile, but the spin-based information in current devices only needs to move a few nanometers. However, in processors, the information has to move great distances. That’s where graphene comes in. The one-atom-thin carbon film is both an excellent electrical conductor and (theoretically) has the rare ability to keep electron spin intact. “In future spin-based components, it is expected that the electrons must be able to travel several tens of micrometers with their spins kept aligned. Metals, such as aluminum or copper, do not have the capacity to handle this. Graphene appears to be the only possible material at the moment,” says Saroj Dash. There are major advantages in exploiting spin as an information carrier, instead of, or in addition to electric charges, the researchers say. Spintronics could make processors significantly faster and less energy consuming than they are today. Unfortunately in practice, high-quality graphene can only be obtained in very small pieces, and larger graphene material is produced in a way that the quality is either too low or has other drawbacks for use in electronics. To get around that, the researchers used chemical vapor deposition, allowing for production of large-area graphene at industrial scale. 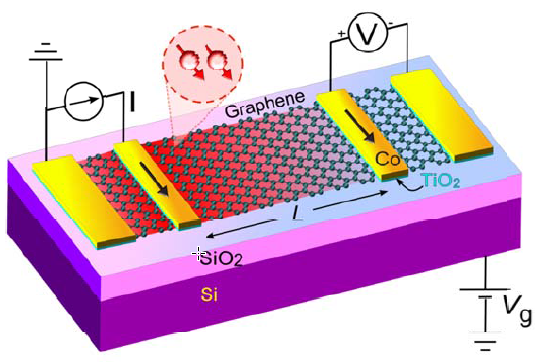 CVD graphene can also be easily removed from the copper foil on which it grows and be lifted onto a silicon wafer, the semiconductor industry’s standard substrate material. “Our measurements show that the spin signal is preserved in graphene channels that are up to 16 micrometers long [and with a duration at room temperature of] a nanosecond,” says Chalmers researcher Venkata Kamalakar, the article’s first author. The researchers say the ultimate goal is a completely new way of performing logical operations and storing information, which would take digital technology beyond current dependence on semiconductors. A short-term goal now is to construct a logical component that functions similar to a transistor but is made up of graphene and magnetic materials.